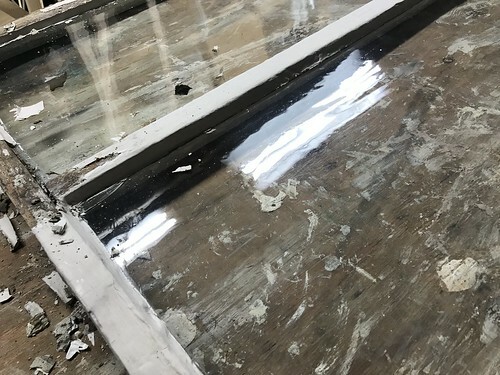 What's the best way to remove 130 year old glazing and paint from wavy glass antique window sash? While it may not be something you ask every day, it's a good question if you've ever wanted to restore an old window or salvage old glass. And quite possibly the right answer to that question is...STEAM! More on that in just a minute. When I was 18 years old I worked in a shop in The Flats of Cleveland, right along the banks of the mighty Cuyahoga River. 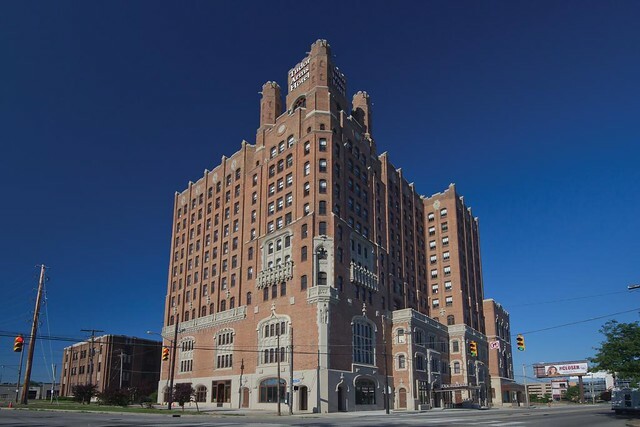 It was the mid 90s, the Cleveland Indians were an MLB juggernaut, and I spent a long a summer of hard labor stripping glazing from 800 windows that were in what is now The Tudor Arms Hotel, which was built in 1933. I likely touched almost every window in that building. Now 21 years later, the Cleveland Indians are vying for the best record in baseball, and I'm once again trying to remove glazing from antique window sash, but hopefully this time, working on my own windows, it will be less hard labor and a little more enjoyable. I know one thing for sure, it will certainly be for far fewer windows! 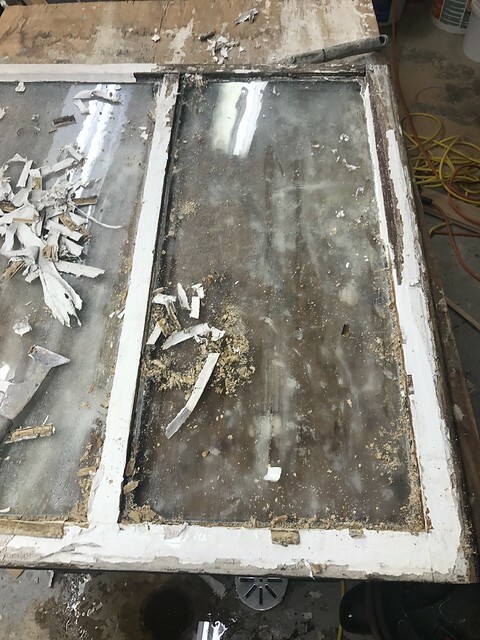 When I was laboring away as a teenager the windows were first dipped in paint stripper for hours, which would soften up the glazing, and then the sash would end up on my work bench and I'd try to chip it out as best as possible. Sometimes the glazing would come right out, sometimes it would stick. Sometimes the glass would break, sometimes it wouldn't. Sometimes the stripper would do so much damage to the wood that it would warp and nearly ruin the sash. If any glazing was left I would warm it with a heat gun and then chip it out. It was less than ideal, expensive, sometimes time consuming, but somewhat necessary given the number of sash we were working with and the deadline of the project. Today I'm working on restoring my own original windows, and I've been planning this project for going on 12 years. One of the most critical aspects of this project is saving as many of the original panes of 130 year old glass as possible. Can I be completely honest and tell you that I've been absolutely dreading/obsessing about this project for much longer than is reasonable? Can I also tell you that several years ago while watching an episode of This Old House I saw a segment on restoring windows where the pros in a window shop used a large steam chamber to soften the paint and glazing on their window sash? And after I saw that segment the wheels in my head started turning. I wanted to figure out how I could replicate that steam enclosure on a much smaller and much more affordable scale for my own project. 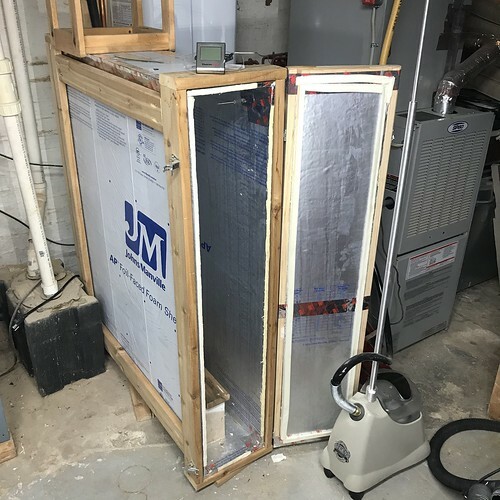 Fast forward many years, lots of research on others that created a steam chamber of their own, finally getting the courage to finish our window restoration, and we're building a steam box of our own to facilitate our window project. 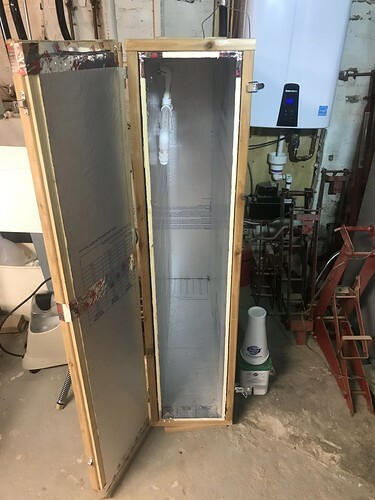 Today I want to share the process we used to build our own basement steam chamber for softening up glazing and paint, in the event you want to build one of your own. The concept of the steam chamber is simple. You place your window sash into a tightly closed area, pump a bunch of hot steam into the box, let your sash "cook" in the steam for about 30-40 minutes (times will vary, but it's what's working for our windows), carefully but quickly remove the sash (the steam is very hot), then scrape out the softened putty and remove any softened paint. Easy enough? Luckily, the build for the steam chamber is also pretty straight forward and relatively easy! As far as supplies, you only need a handful of items. 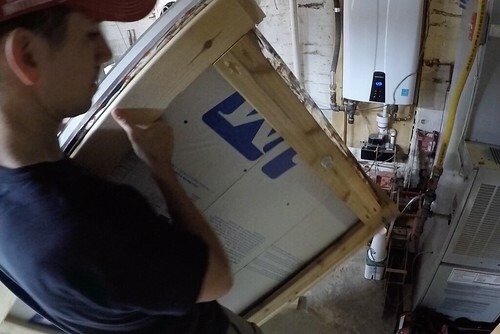 The steam itself will need to be supplied by a unit that's substantial enough to fill the box and keep it hot. 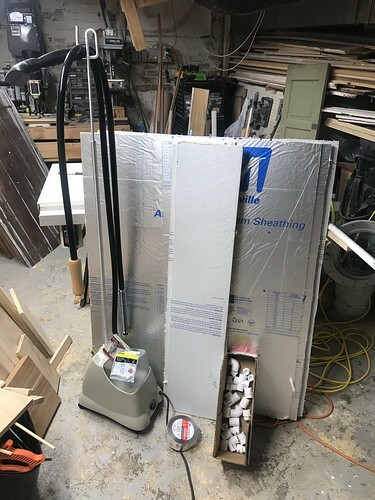 There are a few models of wallpaper/garment steamers that will work, but no matter what you choose you'll want something a little more substantial and powerful than a more traditional low powered wallpaper steamer. We are using a Jiffy J-2000 model with 3/4 gallon tank, but the J-4000 would work even better (though it is more expensive). If you're on the fence about buying a steamer just remember that these are pretty amazing when it comes to removing wallpaper, and it can also be used to take wrinkles out of drapes, table clothes, or clothing. It's a very versatile tool. 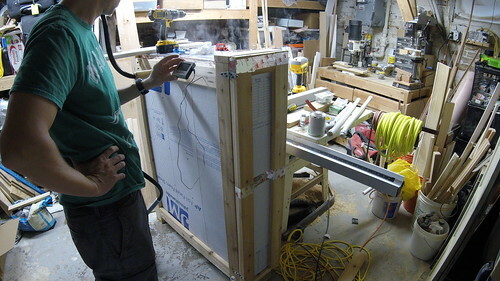 Once you have the steamer you'll just need supplies to build the box, and optionally add a temperature sensor. For the box I wanted to create an insulated inner chamber with an outer wood skeleton. 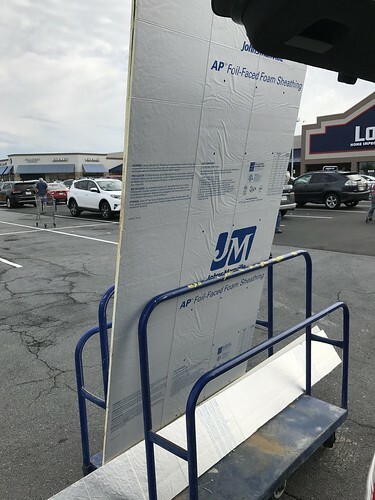 So I went to Lowe's and picked up two sheets of foil faced 4' x 8', 5/8" thick rigid foam insulation. That's polyisocyanurate to you insulation nerds out there. I also grabbed a bunch of PVC fittings (but that was a bit of a fail that I'll fill you in on later). 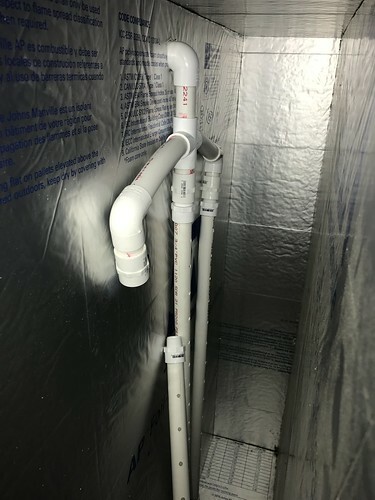 The only fittings you'll really need are a threaded 3/4" male to slip fitting, about 1' of 3/4" schedule 40 PVC, and a 90 degree elbow. You'll also want to grab some heavy duty PVC cement and foil tape that can stand up to heat if you don't have any on hand. Once we had all of our supplies I planned out the dimensions of the box. 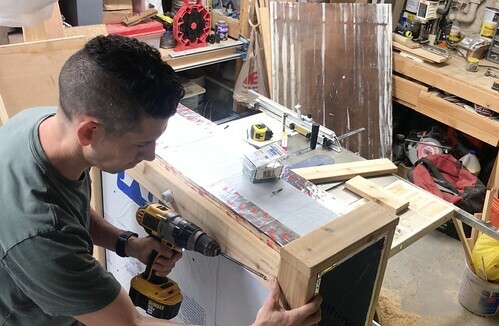 I measured the largest window sash we'd be placing in the steam chamber and then added 8" to get the minimum height and width of the interior of the chamber. The insulation cuts easily with a utility knife, so I was able to mark all of my panels with a Sharpie, and then score and cut each piece quickly. 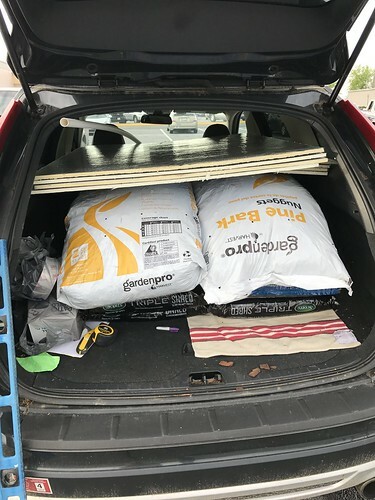 I actually made a lot of my cuts in the parking lot of Lowe's so that the sheets could fit nicely in our car with all of our other stuff. Yeah, I was that guy. All assembled, the rigid foam insulation makes a good and light weight box, but it's fragile. I'd like to keep this and use it long term, and I know the insulation alone will get battered and bruised if that was all it was. 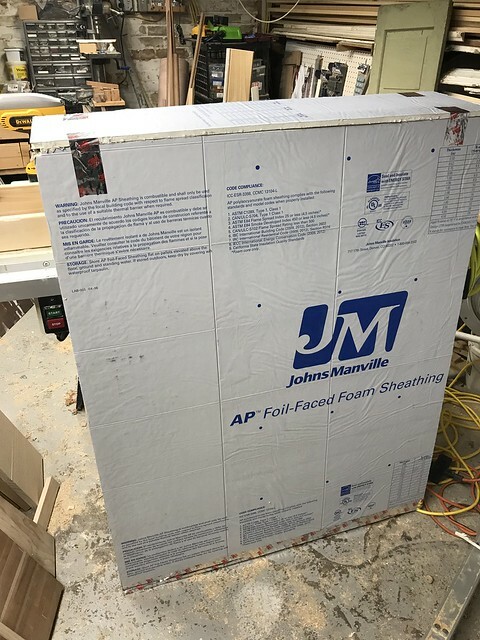 While you could likely use it as foam alone, I wanted to create a wooden structure surrounding the insulation box to protect it. To do this I made a simple frame out of 1" x 4" cedar material I already had on hand. I figured out the ultimate dimensions of the foam box's outer measurements and then nailed up two rectangles that wrap the front and back of the box. After assembling the two rectangles I turned my attention to assembling the box. I'm not exactly sure why I chose this order, but it worked well for me. The way I assembled the frame with an open front and back allows me to just slide the box right into place. This way if the box ever gets badly damaged in the future, I could always just build a new one and slide the old one out. This also lets me make some minor adjustments to the placement of the box in the frame, forward or back, in order to make a good and air tight seal with the door. To be sure everything was going well I test fit each square frame on the foam box as I was building it. 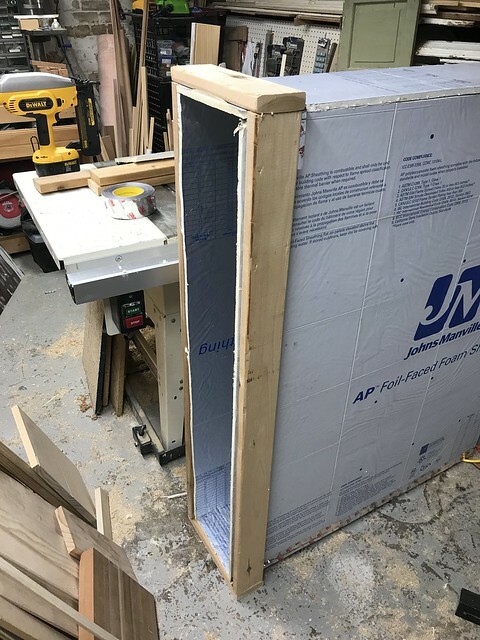 For the layout of the chamber I cut two large pieces for the sides of the box and then four smaller pieces for the top, bottom, front, and back. I marked each piece based on their purpose, and then set aside the front door piece for use later. There's nothing particularly fancy about building this box. I simply propped up the sides and top and used the foil tape to keep the pieces loosely together. Once the top and bottom were on I placed the back on the box and then sealed up the all of the corners with tape. 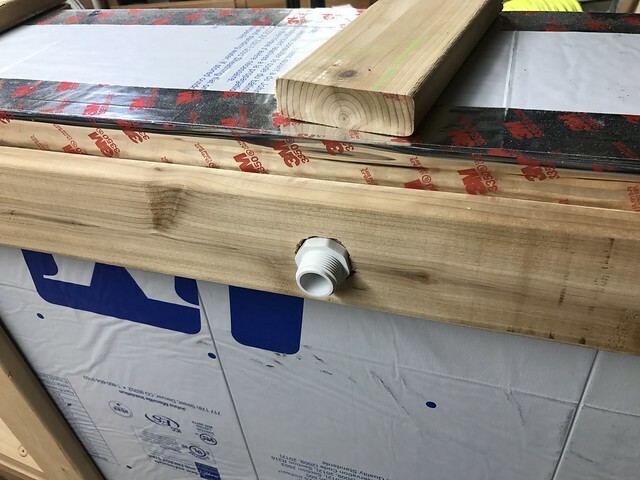 I wanted to make sure no steam will leak out of the box from poorly secured corners. While I didn't double up by taping the interior corners, that's probably a good idea and something that I'll do later. After the foam box was assembled I fit the two rectangles over the front and back, then pocket screwed four pieces (an upper and lower on each side) on the sides between the two rectangles. I shy away from using pocket screws in anything that needs to look nice if the pockets would possibly be visible, but this is the perfect quick and dirty scenario. I just cared that the box was strong and the pocket screws create a very secure joint for being only 2 screws. The box and frame itself went together nice and easy, so I turned my attention to the steam distribution piping. Before we get too in-depth, let me first tell you that I did it all wrong and basically ended up scrapping the whole PVC piping thing. 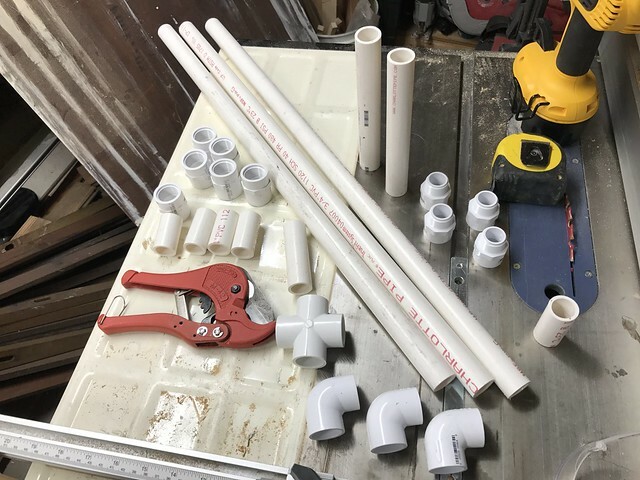 I bought all of these PVC parts with the idea of trying to feed the steam into the box and evenly distribute it across the sash. I even carefully laid out my whole plan of fittings on the cart at the store. I came up with a 3 arm system that I thought would be super cool and work oh so well. I cut and drilled the PVC pieces and got it all hooked up. It was a novel idea, to be sure. But I quickly realized something after running it the first time. Well, I guess I saw the problem more than I realized it. Schedule 40 PVC filled with super hot steam becomes pliable and will sag, droop, deform, and essentially melt and fall apart. So my whole plan was foiled by physics. Damn you physics. That droop started about 30 seconds after it came to temperature, so this 3 arm system, while functional in concept but a failure in execution, gave way to a simplified single connection to 90 degree elbow to feed the steam into the box. The inlet still softens considerably, so its best you don't bump it while in use, bit it's been fine for me so far. 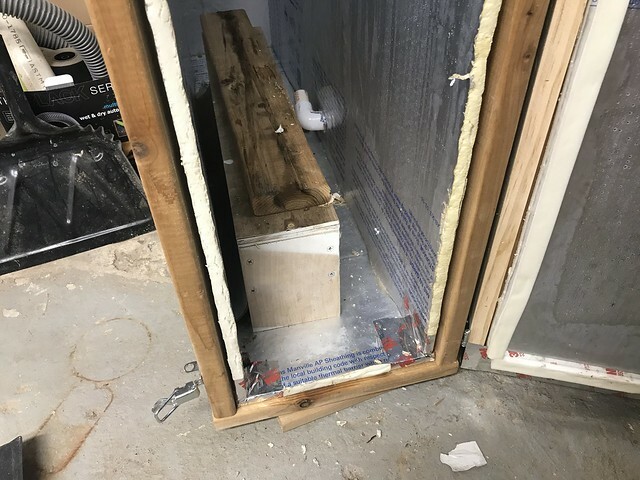 I did make the steam enter through a hole I put in the wood frame, which definitely provides more support than the insulation alone would, so at least I get points for that. But I also placed a steam outlet hole in box which I thought would help things, which was another fail because it just let the steam come out of the box and didn't let it heat up as efficiently. So I guess I lose the points I won for that one. I ended up caping off this outlet and just sealing it up with tape. 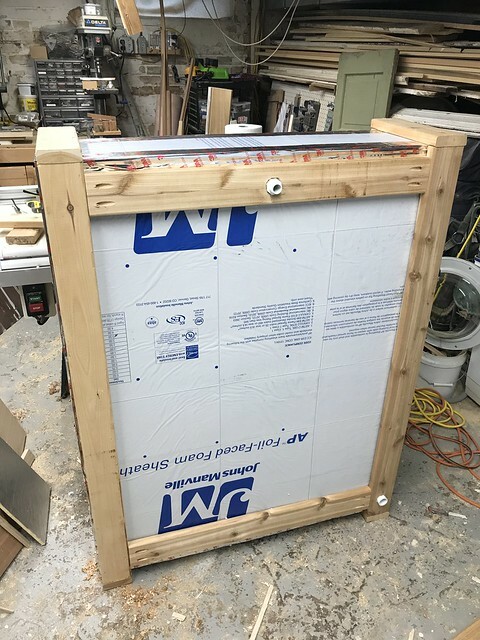 The box, frame, and steam hookup were all built, and the only thing left was the door for the front of the box to seal everything up while it was in use. I debated just how I wanted to handle this and eventually came to a solution I'm rally happy with. I cut a door frame from the cedar just a little larger than the insulation panel. 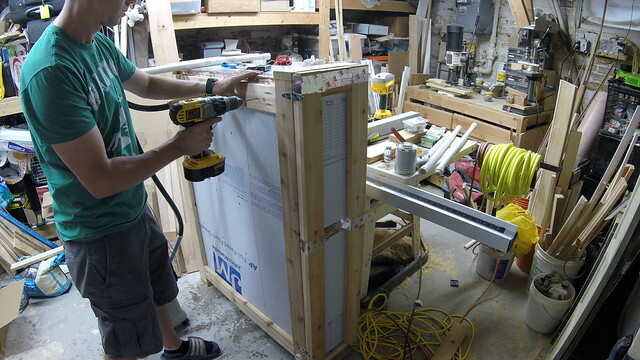 Then I cut a few smaller pieces of wood in 1/2" thickness to act as an outer bounds for the insulation panel. 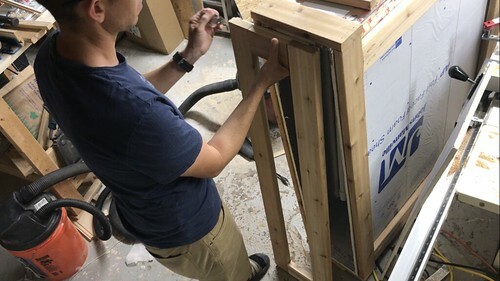 Once I had the frame set I just popped the panel into the door and then applied some foil tape to the top, middle, and bottom to secure the whole thing and installed the hinges. In retrospect I should have bought H style hinges, but these small strap hinges worked well enough. 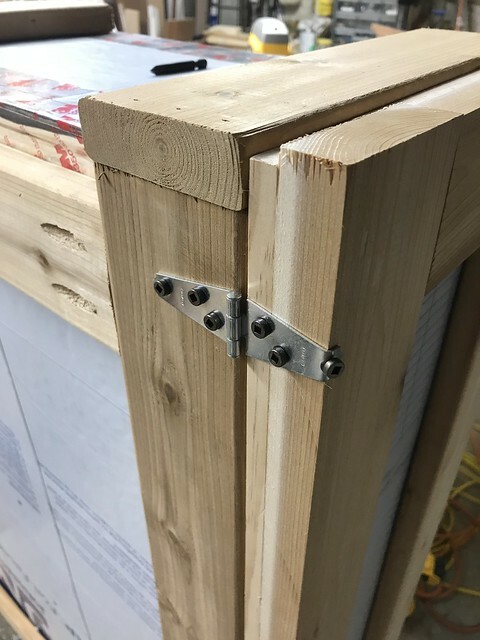 I added them to the side of the cabinet and then bent the hinge to wrap around the front of the door since it was a little long. 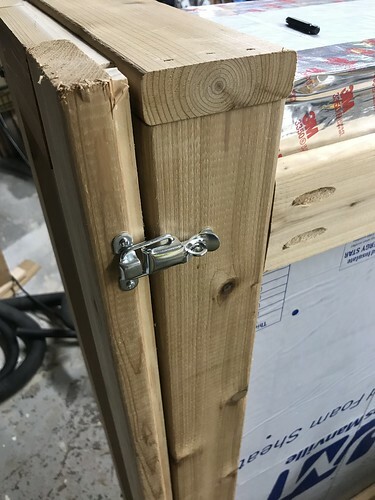 After adding a thumb latch at the top and bottom of the opposite side I quickly had myself a nearly fully sealed door. We were certainly getting close. 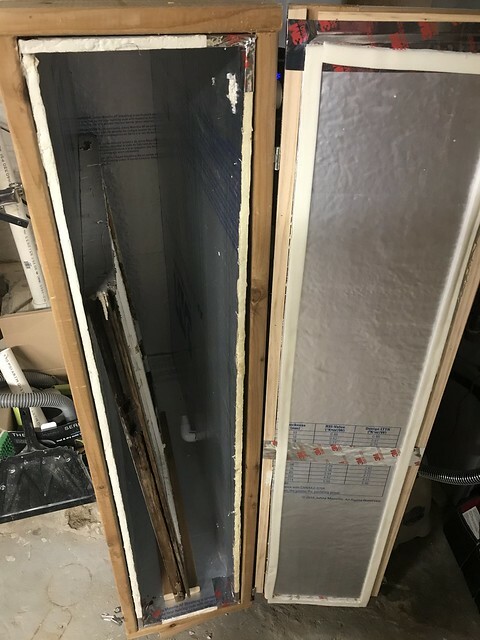 There were a few medium sized gaps here and there letting steam out, so I applied a little flexible adhesive foam weather stripping around the interior of the door and made sure it all compresses down when the latches are enabled. Right away the seal was perfect. 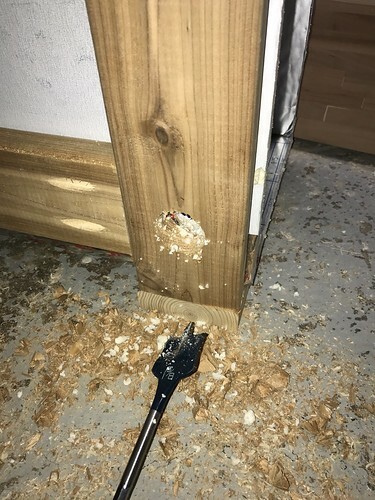 The final step was to drill a hole in the side of the wood and insulation that was just big enough to stick the lead on the thermostat through. 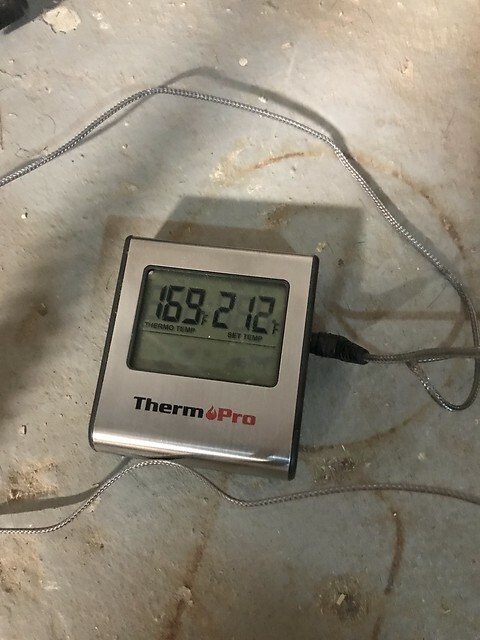 This way I would be able to keep an eye on the actual temperature of the box using the digital thermometer, which is primarily to give an indication that it's heating up the way I want it to. Firing up the steamer it seemed to be working well as the top of the box was almost 200 degrees Fahrenheit, but the bottom (through a second thermometer hole) was only getting up around 160s. Again, thanks to the fact that the inlet of the box being positioned near the top of the box, my adjusted steam delivery approach (no longer 3 arm), and physics (heat rises), it just wasn't heating up evenly. The original thought of the outlet port was to allow the box to fill with steam from the top, pushing the cold air out of the bottom through the outlet port, and ultimately reaching top temperature. But in reality, and maybe because our steamer isn't powerful enough, the steam was just hanging around in the top and failed to fill the whole box. 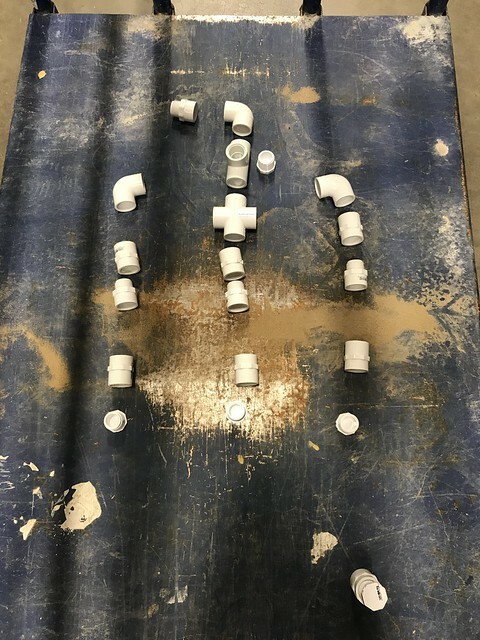 To solve this problem I did what seemed to be the easiest and most straight forward thing I could think of...I flipped the whole thing over so steam would enter in at the bottom. Since the outlet port was now at the top of the box, it would just allow the steam to escape, which is why it was best to just seal it up and cap it off. After all of my trial and error I finally had a steam box that would come up to temperature and stay heated while the steamer was on. I decided to build our steam chamber as a vertical chamber rather than a more traditional horizontal chamber. The main difference between the two is simply where the steam inlet port is located, and really, you could make any vertical a horizontal and vice versa if you wanted. But my reasoning was simple. First of all, I wanted to take up less space in the basement. I had a good spot where it could live and my preference was to place the chamber in its home and then use and store it in that same spot. Second, the steam chamber makes a tremendous amount of condensation, and I felt like it would be better to steam the window sash sitting on their end and leaning against the wall of the vertical chamber rather than sitting flat on the bottom and allowing water to pool on the window glass and sash. I just feel like it will be more efficient situated vertically. After my first few test runs I realized just how much water collects in the bottom of the chamber as the steam turns to liquid. As a result I made sure to tilt the chamber forward just a little and the water is able to escape out the front and towards the drain in our basement. 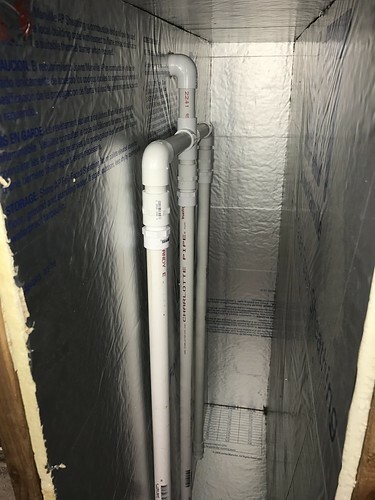 If you're doing this in a place that doesn't have a drain or you don't want your floor to get wet, it might be good to place the whole thing in a plastic pan or provide some outlet where the water can drain into a small bucket or tray. The final thing I realized was that it is helpful to keep the sash up as close to the top of the box as possible, since it will always be hotter up there. When the sash are smaller than the box I placed a wood stand in the box for the sash to sit on, boosting them up and keeping them out of the water. No matter what I'll at least put a board in the bottom on which to sit things so it doesn't just sit in the water while being steamed. The whole steaming process takes about 45 minutes for us on our sash. This includes the time it takes to come up to temperature, then cook. During this time you'll likely see a little steam escaping and you can keep an eye on the temperature with the digital thermometer. USE CAUTION WHEN OPENING THE STEAMER!!! Steam is very hot (again, physics), so I always wear protective gloves when operating the steamer. You should too! The sash in the steamer is hot, but the steam that escapes from the box right when you open it is even hotter. After 45 minutes I turn off the steamer, then I unlatch and crack the door of the box to allow the first wave of steam to escape. If you just open the door right away you'll get a giant face full of steam, and that will hurt. THIS IS VERY IMPORTANT TOO!! Keep in mind that if you have a smoke/fire/heat detector nearby, and the steam escapes from the box too quickly when you open it, the detector will go off. Trust me, we learned this first hand, and Lulu, who hates alarms, was not happy with this fact. When you open the box immediately grab your sash and lay it down on your work surface. You'll only have a few minutes to quickly work around the windows and remove any softened glazing or paint before it begins to harden again. I'll provide a more detailed description of the process for removing all of the glazing and paint in an upcoming post, including the tools that have worked best for me. But this steam box certainly makes short work of what was previously a difficult and tedious process. In the past I've used a heat gun to soften the putty, which often resulted in broken panes of glass. It's also very easy to damage the sash with really hard old glazing, so softening it with steam certainly goes a long way to helping preserve your window's antique wood. One other thing of note, when you're done using the steam box leave the door open while it all dries. If you close the door and walk away you'll come back days later and still have condensation sitting inside the box. And if you have wood in there, that wood will be covered in mold. 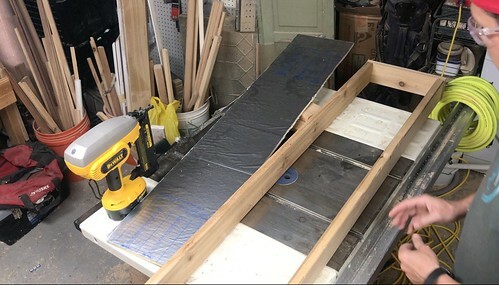 While we don't have a ton of windows to strip and reglaze, we have enough that it made sense to build my own steam box. Including the steamer the whole thing costs about $250 and took me about 4 hours total time to build. That includes all of the time I spent building the dumb PVC piping that I ended up scraping in the long run. The main lessons I learned if I were building another is simply to keep it simple, put the steam inlet on the bottom, don't worry about an outlet or steam distribution system, possibly build the whole thing up a little higher off the ground in order to make water collection easier, and tape the the interior seams as well, especially on the bottom. Does this project seem like something you're going to take on? I would love to hear how it turns out if you give a steam box build of your own a try. 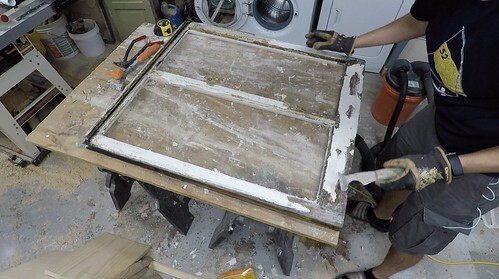 We built a steam box to restore the 150 year old windows in our Gothic Revival in AL. It does do a nice job of softening up the glazing and old paint without putting lead paint everywhere, but I found after doing about 5 windows that the steam made the wood so soft and pliable that it/I was causing a lot of wood damage, especially to the muntins. Also, you have to work fast to remove the old glazing before it cools (my sashes have 9 panes each). I decided to switch to scrapers, dental and carving tools, and sandpaper with a mask. I was very worried about this but so far it’s pretty solid even after steaming. I imagine this might change when I get into the one 6 over 6 window we have. I am in awe of you attention to detail, hope this works for you since you deserve an easier fix to a tedious task. Wow, just wow. I'm a bit confused about the word "glazing." I thought it meant the glass in a window or the process of putting glass in a window. That doesn't seem to fit with how you use the word, because you use it in addition to using "glass," "glazing points," and "putty." “Glazing Compound” goes by a lot of different names, sometimes varying even by region like soda or pop. You’ll hear it called putty, compound, caulk, and other terms, but I grew up knowing it generically as glazing. In this case when I refer to glazing im talking about the compound or putty and I use it somewhat interchangeable with putty meaning the same thing. But also keep in mind that glazing can be a verb as well as a noun. Clear as mud? Mud, indeed. I conquered the verb-noun stuff; thanks for explaining the putty. 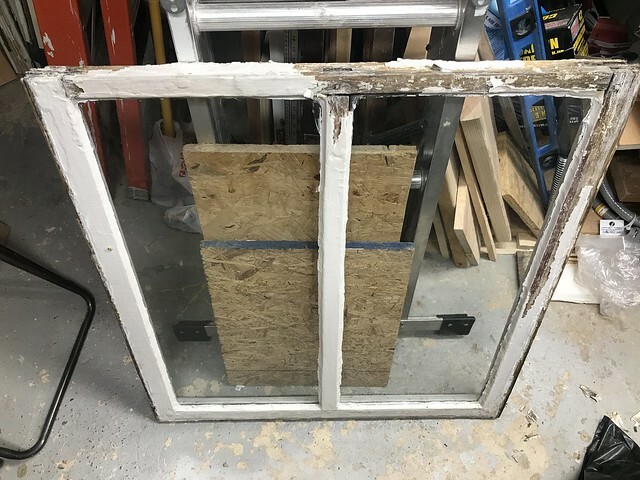 I want to restore all of our original windows and last year I decided to test out on one of our storm windows (because it doesn't have wavy glass in it so I wasn't as worried about breaking it) and I ended up breaking 2 panes before giving up and realized that this was going to take a lot more time, effort, and thought that I originally planned. My biggest issue was that some of the glazing was incredibly hard, but not yet crumbly. I've decided to wait to fix my windows until I have proper time to dedicate to just them, but this sounds like a totally viable solution to the very problem I was having! Makes me wish I would have tried this on my window project! 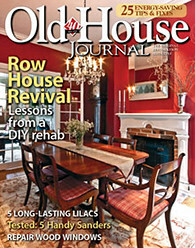 I have a 1925 craftsman in Del Ray, and I ended up having to strip, reglaze, paint and rerope my 13 six over one windows on the first floor (the ones on the second floor weren't salvageable) . My wife and I had a little different set of expectations about how long my window restoration project was going to take. I was thinking three years, and she was thinking three months... She won. A lot of late nights with a heat gun, scraper, and podcasts to get me by. 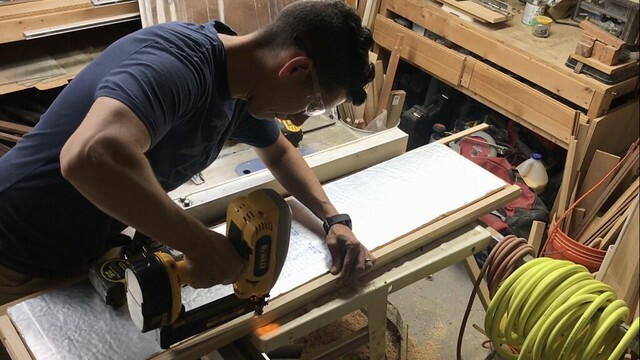 Starting to plan out a storm window and screen project - looking forward to seeing more of your progress! We just restored the two most important windows in our 1875 house: the two that face onto the front porch that are floor-to-ceiling, with beautiful wavy glass. We put this off (for 10 years!) until we had enough experience with windows in other parts of the house (and completed a million other projects that needed doing) and finally got up the nerve to tackle these two. Luckily for us the glazing was already coming apart from years of neglect before we purchased the property. The paint had been so badly applied that it had started to fail. And every window in the house had been painted shut. And every sash cord had been cut. Can you imagine? Anyway, we got the windows out, and scraped and sanded, nearly down to the bare wood. Then primed and painted with the best paint available. 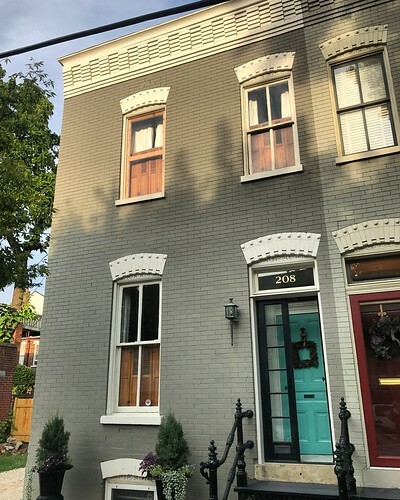 We allowed enough time for the glazing to cure properly and re-installed, with new parting strips, and using that beautiful red dotted sash cord. My biggest problem is that we're missing one 8 lb weight, but I'll find one online over the winter and come spring we'll have both up and running again. You guys have been our inspiration, and we often find ourselves asking "What would Alex and Wendy do?" Curious if the Jiffy J-2 model steamers would work for this. They are a lot cheaper and plentiful on eBay. If you had some old windows that were painted on the glazing side but stripped on the other do you think putting it in a steam box would damage the unpainted wood. Would it warp? Should I prime it first?